Dedication to a job well done. Technology at a level not found with other teams. 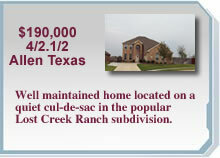 A great company with over 50 years of experience in Dallas. The largest sales force, under single broker, in Dallas. Access to TV shows and the MLS network. Over 10 Years of Real Estate experience. What sets me aside from other Realtors? 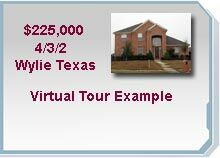 Virtual Tours provided for my client's listings. On staff technical specialist to assist with e-marketing.